"Get your number and queue outside, even when it’s raining!" 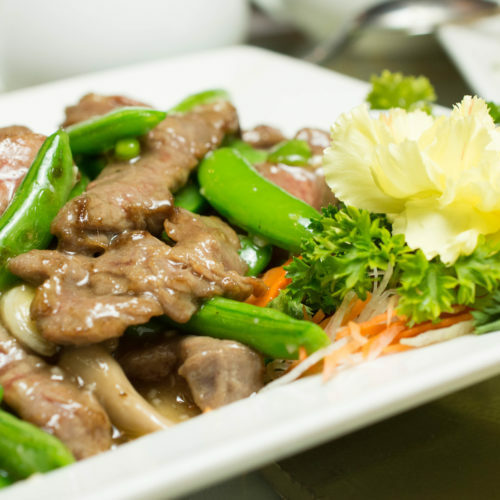 A Bib Gourmand rating means the restaurant is an inspector’s favorite for good value. 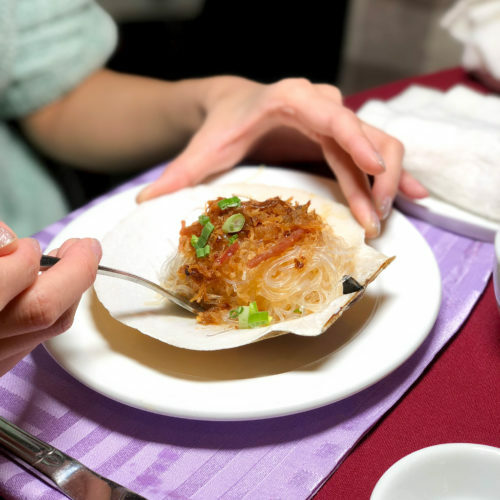 For everyday New Yorkers, Bib Gourmand restaurants represent the best hidden culinary value that the city has to offer. 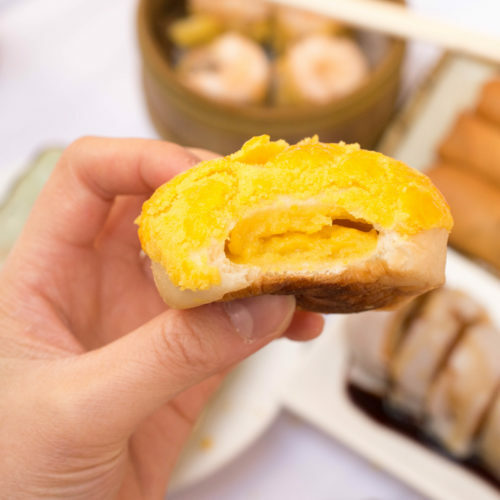 "My go-to restaurant is Oriental Garden"
"All the chefs know about Oriental Garden"
Located in the bustling heart of Chinatown, Oriental Garden’s mid-block location is easily spotted by the large gold lettering on its stone facade. 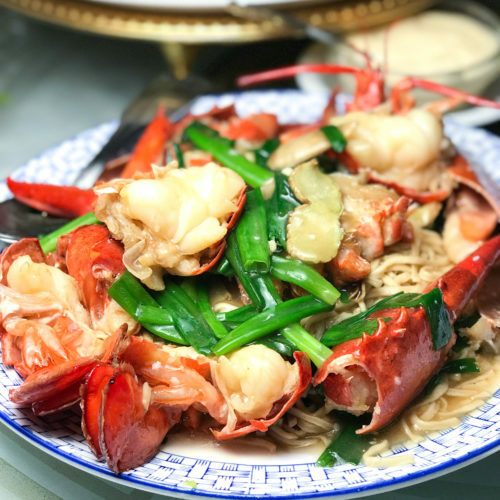 Inside, the slender windows make the dining room feel decidedly tucked away, amid pale walls simply lined with framed Chinese characters and gold dragons. 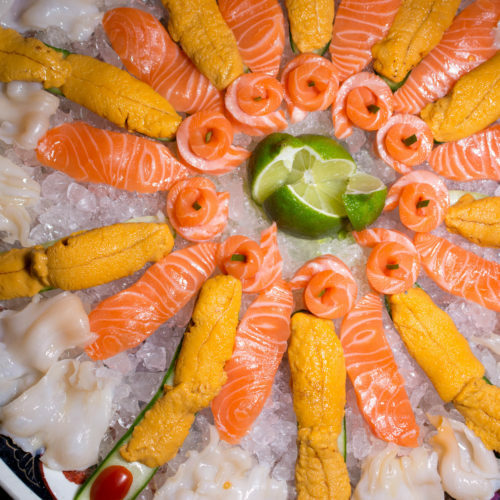 Towards the front, tanks brimming with fish illustrate the expansive menu’s orientation toward seafood in dishes like braised abalone with oyster sauce, drunken live prawns, and sauteed cuttlefish with black bean and green pepper. 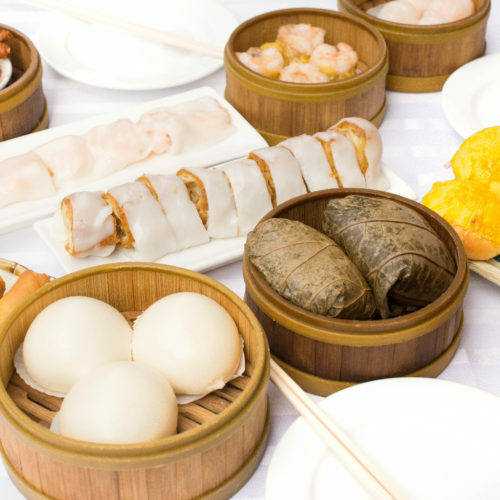 There is also a hearty selection of dim sum, stir-fried meats as well as a variety of vibrant vegetable and tofu dishes. 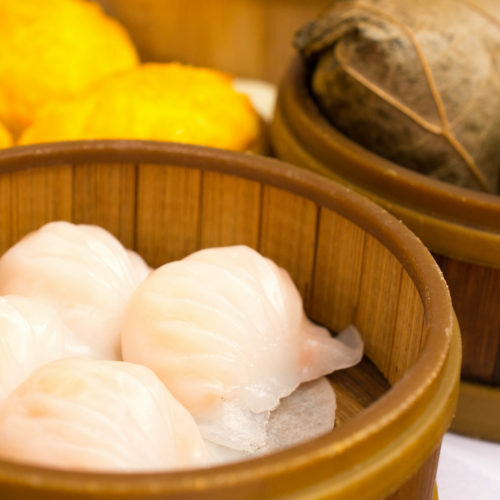 "The best Chinese restaurant in New York"
Chosen as the best Chinese restaurant in New York by Zagat’s 2006 guide, Oriental Garden is known for its no frills approach to food. 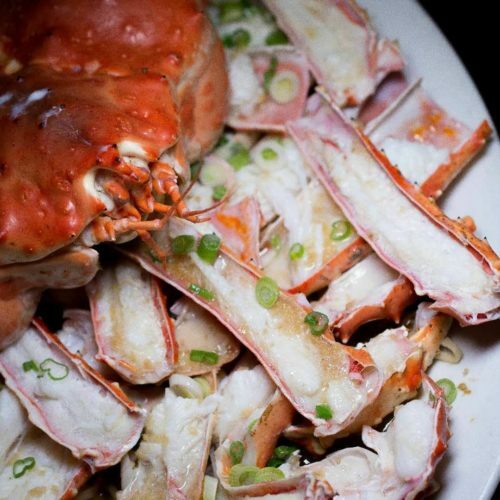 … Crabs, lobsters and other sea food are kept in tanks up front only to be plucked out and cooked fresh for you. 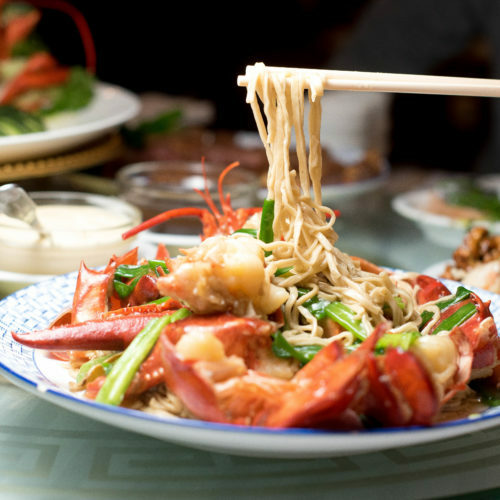 Dig into dishes, such as the succulent Salt and Pepper Prawns or the Diced Seafood Soup, and the highly recommended Razor Clams in Black Bean Sauce. 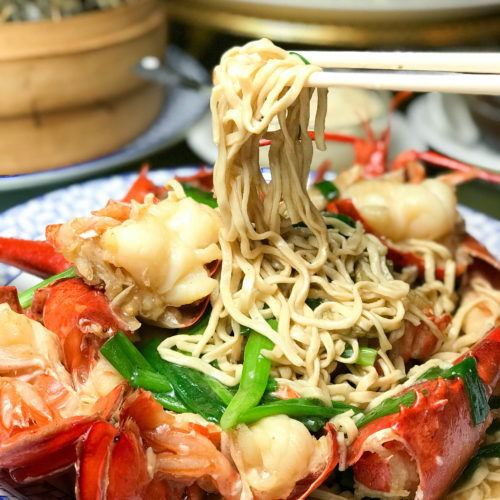 "The best of Chinatown’s seafood restaurants"
Oriental Garden is about extremely fresh food – fish in particular – and a kind of no-nonsense preparation that defers to, and underscores, that freshness. 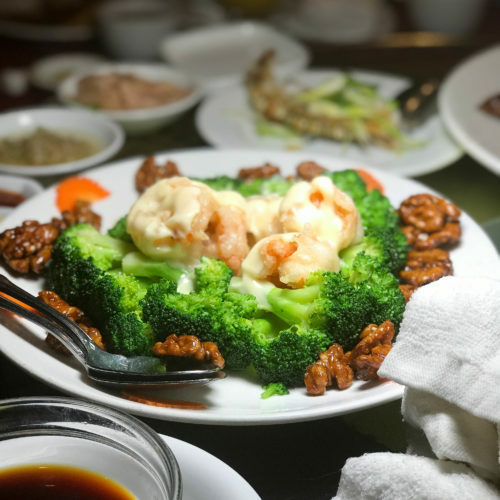 Cantonese in inclination, Oriental Garden opened two decades ago and has repeatedly been renovated, but the golden dragons on its walls and mauve cloths on its tables don’t make much of a statement. 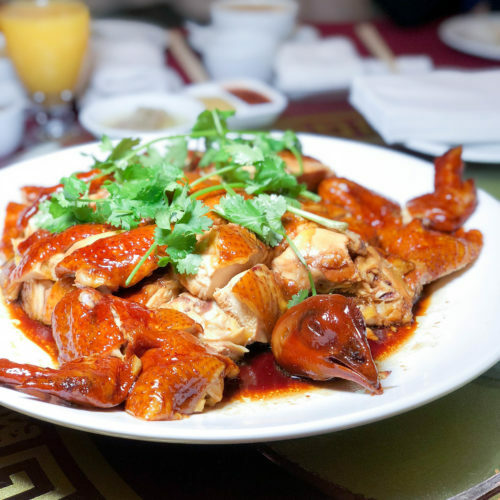 Many of its dishes, however, do, and they support the estimation of some Chinese-Americans and food lovers that this is the best of Chinatown’s seafood restaurants.